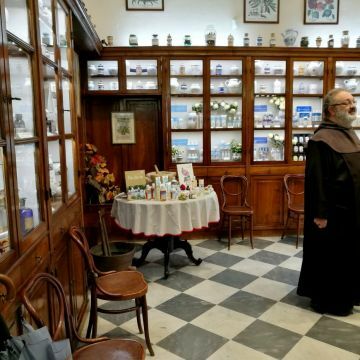 Guided Tour, in Italian and English, to the Convent Complex of Sant’Anna and the ancient Pharmacy. 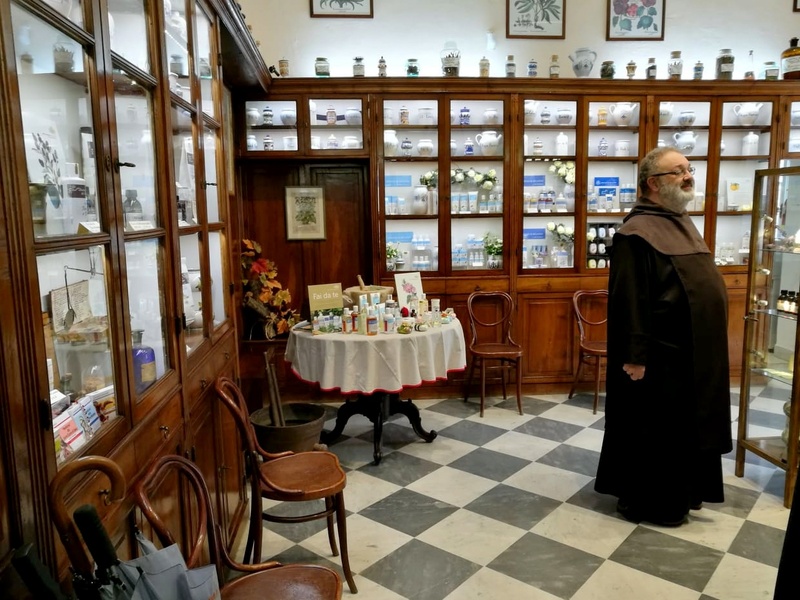 A guided tour to the prestigious Convent Complex of Sant’Anna and the ancient Pharmacy hosted inside, one of the most ancient and renowned Old Shops in Genoa. The complex stands out for its important and suggestive history. In 1584 the Genoese padre Nicolò Doria founded the convent of Sant’Anna. It became priorate and a famous study hall since 1586. 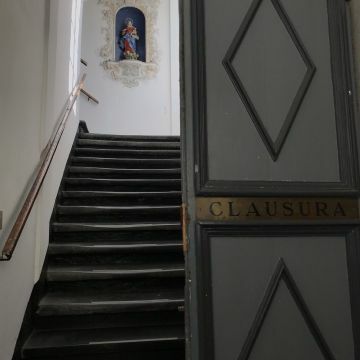 The complex is in a silence and suggestive location and includes the church embellished with a sixteenth-century portal and surrounded by cloisters and gardens and by the ancient library that safeguards precious volumes. 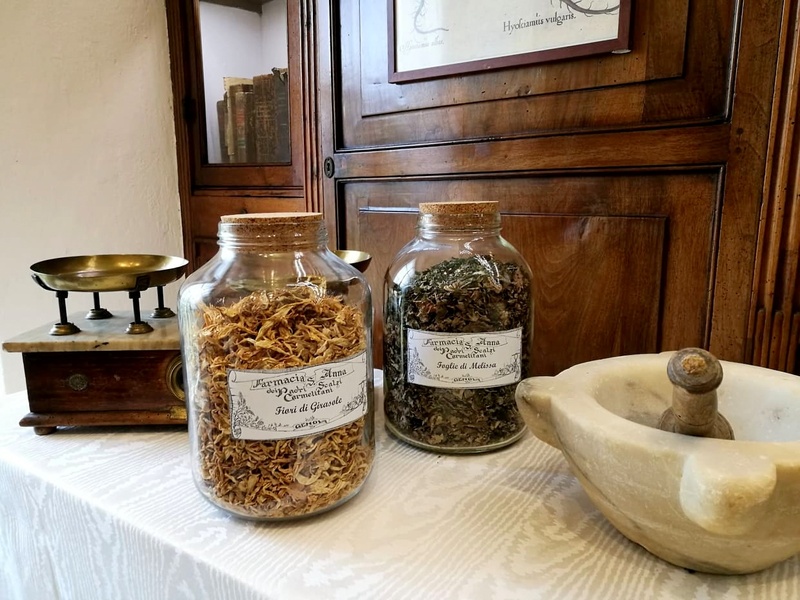 The real gem of the complex is the Antica Farmacia, whose origin dates back to the mid-seventeenth century, a period in which the existence of Fra Martino di Sant'Antonio, in possession of the ambitious qualification of pharmacist, is attested. 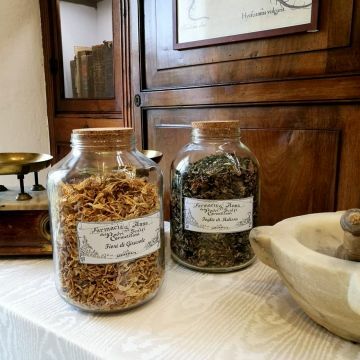 The ancient Pharmacy houses manuals, antique instruments, pottery and antique furniture and of course the products of the pharmacy, galenic products (curative and cosmetic), the work of the Fathers themselves. The tour starts from the TIC office in via Garibaldi 12r at 3.30pm and lasts about 2 hours. 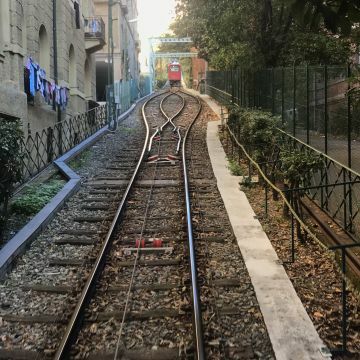 The group accompanied by the guide will reach the station of the funicular “Funicolare Sant’Anna”. 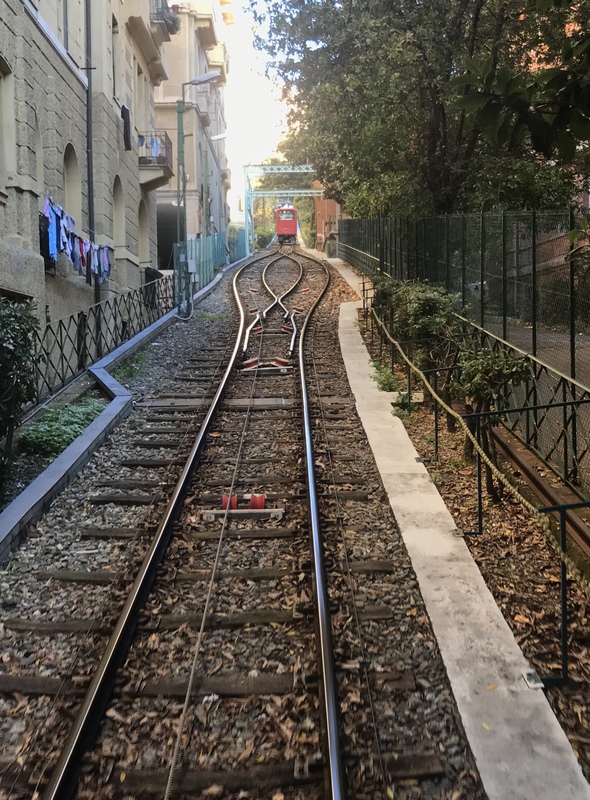 After the short, but suggestive ascent by funicular, during which you can discover the infinitive peculiarity of the special Genoese system of transport (lifts, funicolars) and more in general the vertical Genoa, you arrive at the complex. 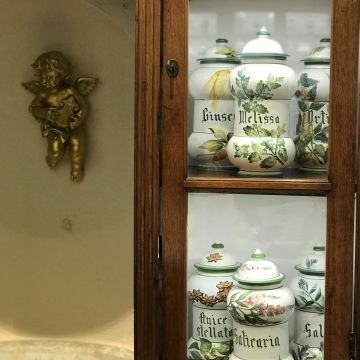 er you can visit, with the guide explanation, the charming church of the XVI century e the artistic nativity scene; access to part of the seclusion area, of the cloisters and the rose garden and of course to the Pharmacy, where a demonstration and a tasting is foreseen. After leaving the complex, and walking along Rotonda, Ponte Caffaro e Corso Paganini, you reach the amazing Spianata di Castelletto, an extraordinary balcony overlooking the Old Town, a breathtaking view of the city and the port. 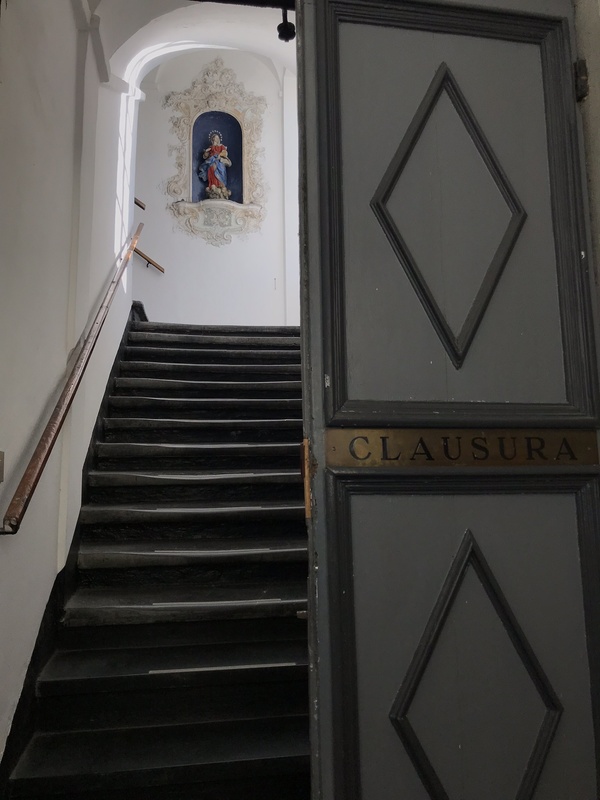 The short trip by the lift “Ascensore di Castelletto”, will take you in a few minutes to the city centre where the tour ends. 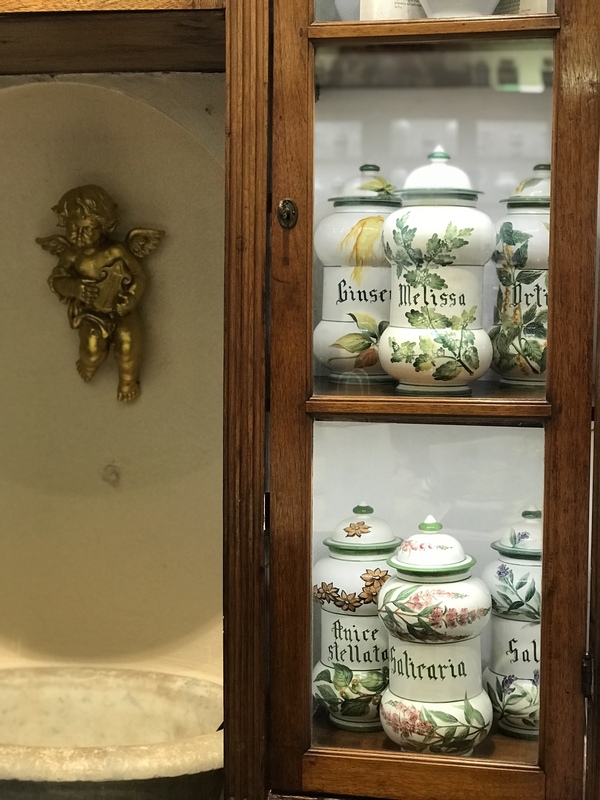 The guided tour lasts around 2 hours – it is recommended to be there 15 minutes before the departure time.